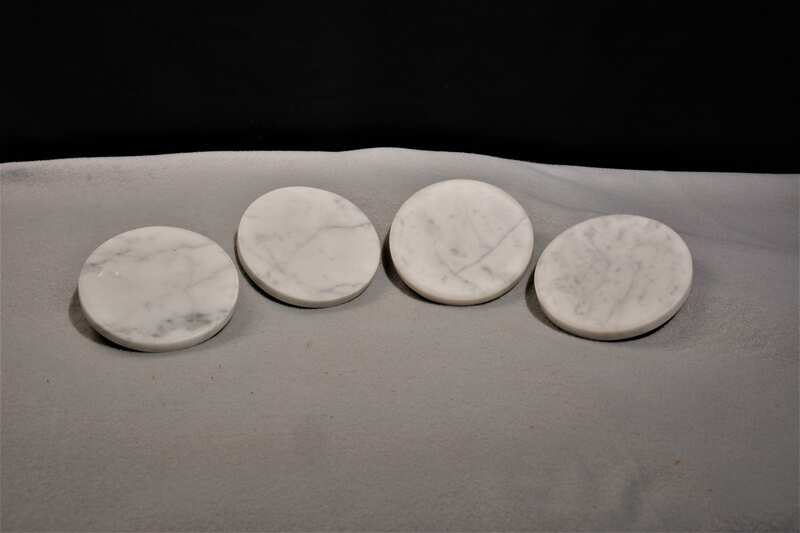 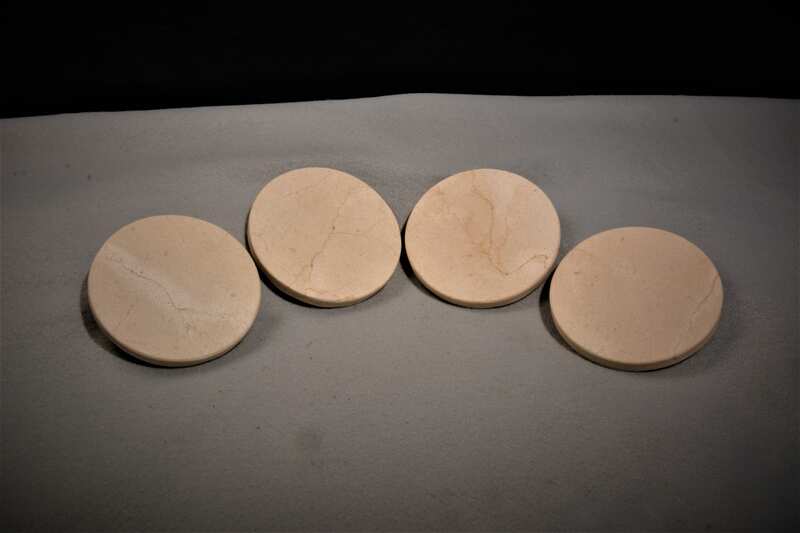 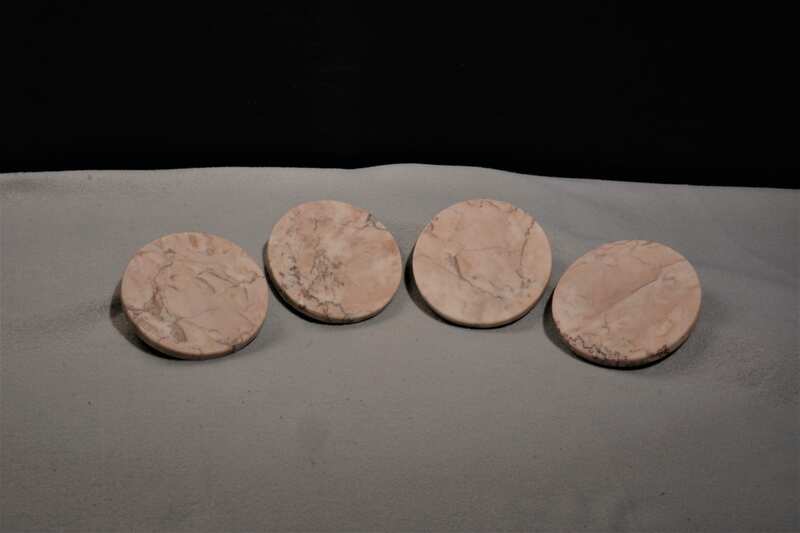 Our Natural stone drink coasters are all made in the USA by hand from 100% all natural marble or granite. 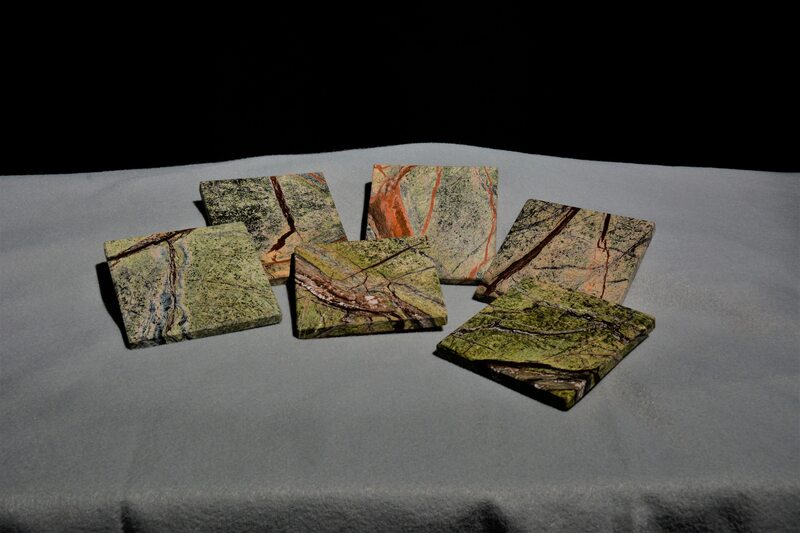 Like all natural stone each coaster has its own unique color patterns and will not look like any other. 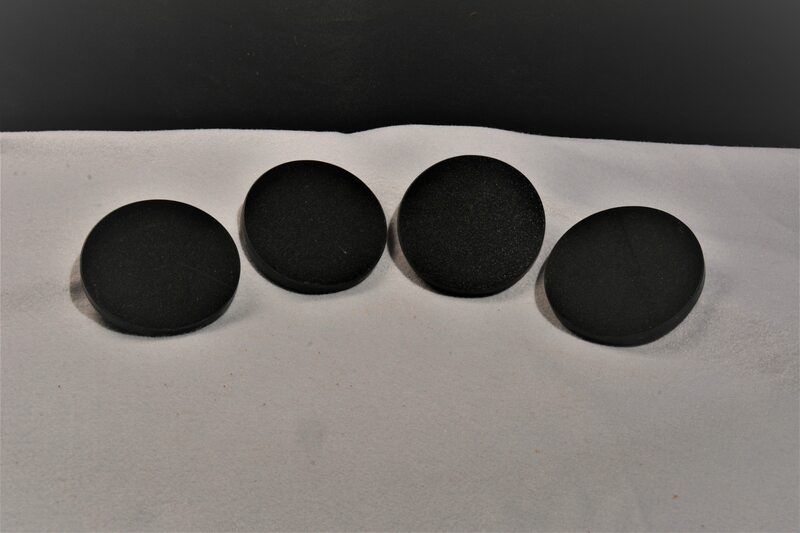 We offer 7 different colors to choose from. 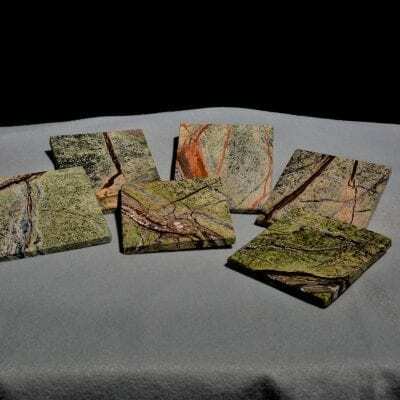 All our coasters are sold in sets of 4 or 6. 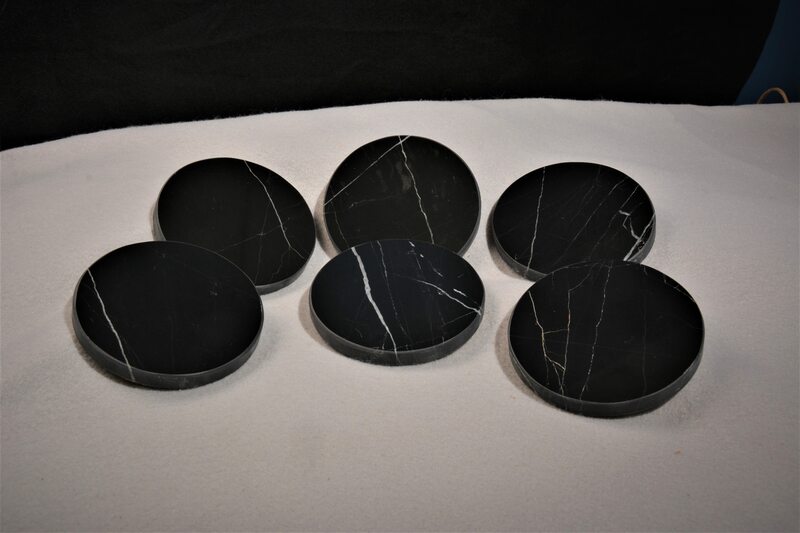 The weight of natural stone helps prevent the drinks from sticking to the coaster. 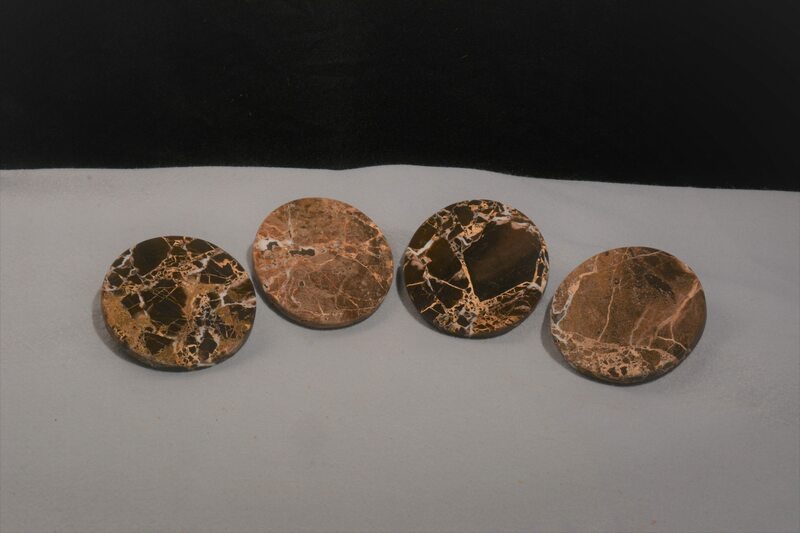 Natural stone is very easy to clean and highly durable.